If you haven’t already, you should check out Yam Books. Publisher Rina Ayuyang offers this year in review on her personal blog. Yam puts out a small number of publications each year, but they’re real gems. And their authors include names that are traditionally published by larger houses like Fantagraphics or Drawn and Quarterly (e.g., Renée French and Tim Hensley). I’m curious about Yam’s history, because I hadn’t know Rina to edit or publish before its debut. But Rina seems to have no learning curve, Yam was publishing high fidelity square-bound books right out of the gate. 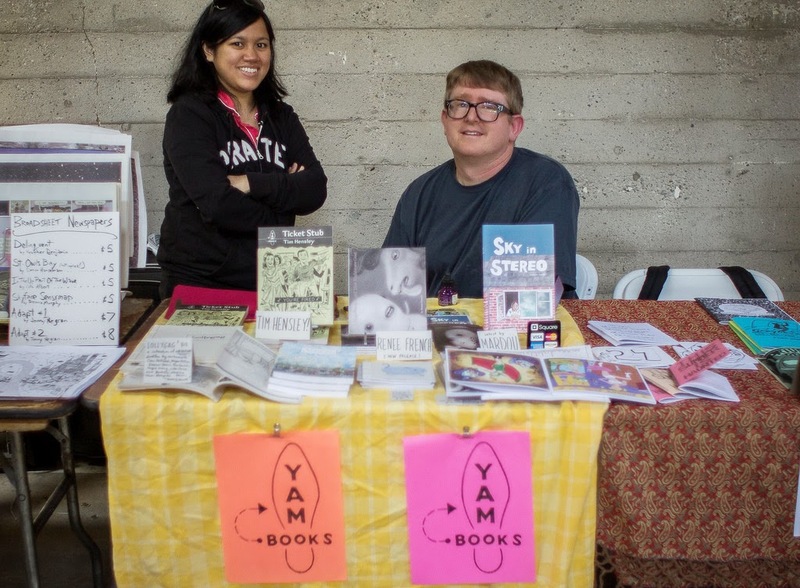 Rina’s 2014 overview includes a lot of personal anecdotes, but it also describes some indie shows I haven’t been to yet but am curious about: PIX, LA Zine Fest, and Linework. Rina also reminded me that APE is moving from San Francisco this year. Too bad, because I had it pegged as my west coast show of 2015. This entry was posted in Uncategorized and tagged conventions, Rina Ayuyang, Yam Books. Bookmark the permalink.